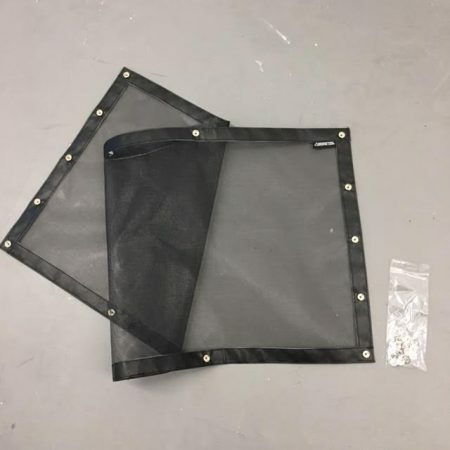 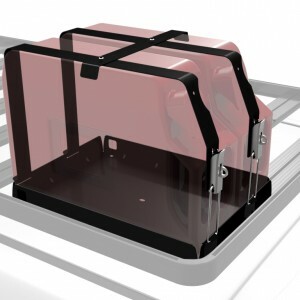 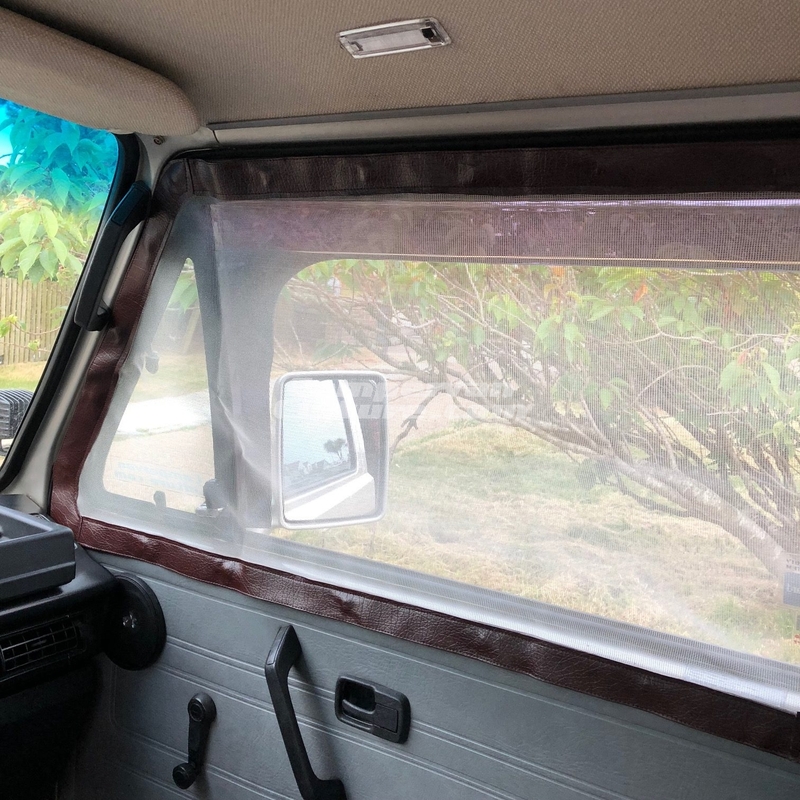 Stop those nasty biting bugs chomping at you and still get cool air flow in the hot weather with our new Magnetic Cab Door Mosquito Screens. 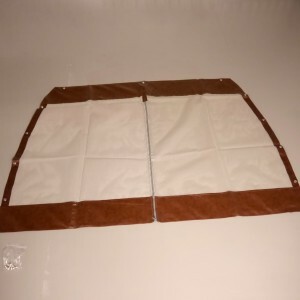 SKU: CVC-CABSCREENBROWN. Categories: Exterior Trim Parts & Upgrades, Interior Parts & Accessories, Latest Products, Westfalia Exterior Parts, Westfalia Interior Parts. 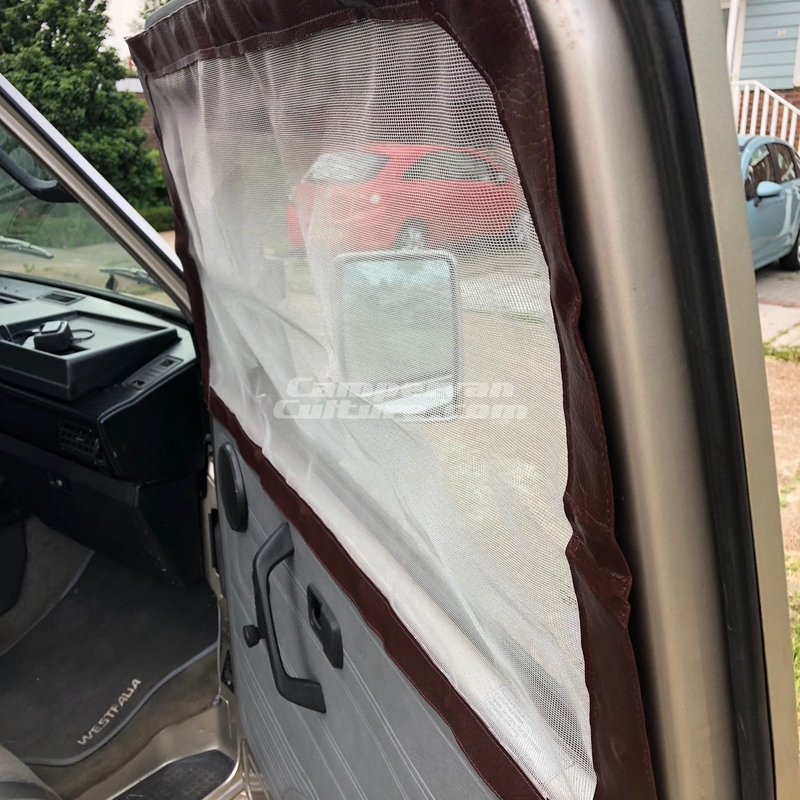 Stop those nasty biting bugs chomping at you and still get cool air flow in the hot weather with our new Magnetic Cab Door Mosquito Screens. 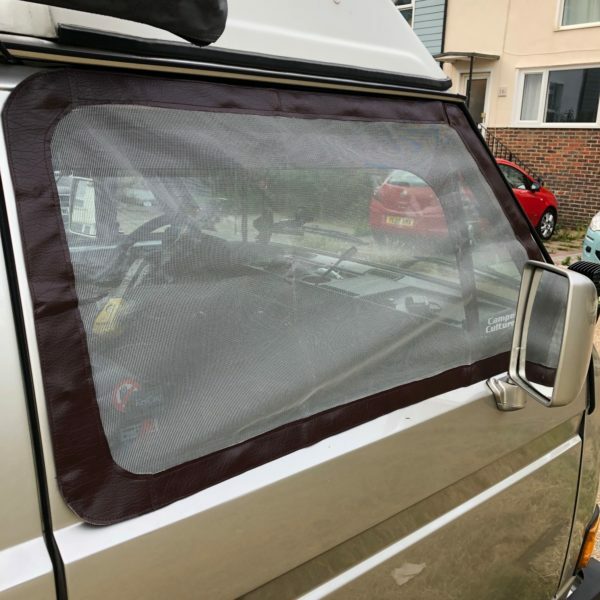 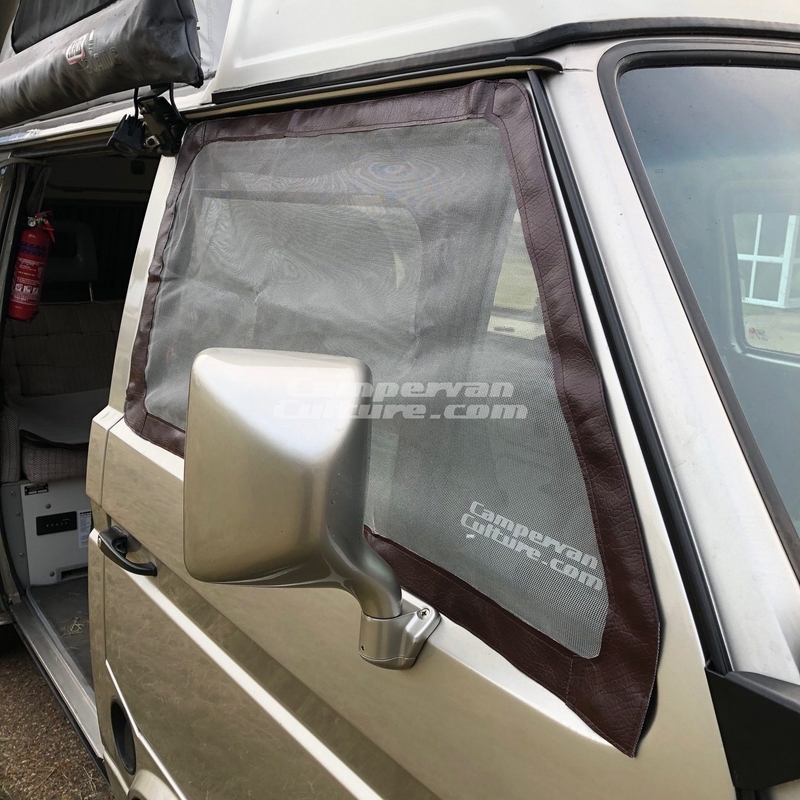 Can be fitted on either the inside or outside of the van. 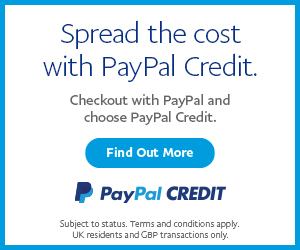 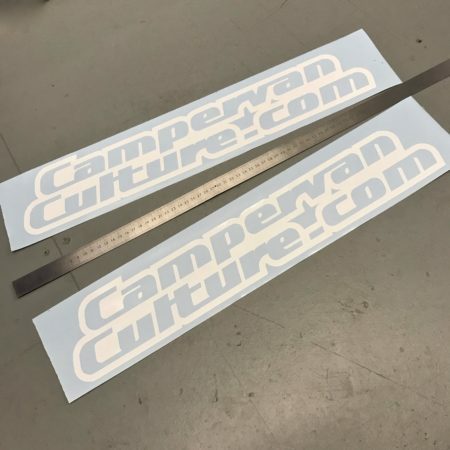 Campervan Culture.com Logo decal 54CM Huge!